Call Quick Key Locksmith today to discuss your Walnut Creek locksmith needs and the most suitable system for your home and family in the East Bay Area. Our representatives will listen to your concerns and customize a quality locksmith solution. Quick Key Locksmith's experienced Walnut Creek locksmiths will provide you with complete lock rekeying and lock change services for residential, industrial and commercial applications, on a variety of lock types. Are you locked out of your car in the East Bay Area? Need to rekey or change your locks? We provide car lockout services and rekey locks all at your location. We are licensed, bonded and insured for your protection. Whether you are in need of an emergency locksmith to help you unlock your car or home, need a locksmith to duplicate keys or change locks on your property, or need a full security system installation for your home or office in the East Bay Area, we can help. Commercial locksmith customers have many different needs, but Quick Key Locksmith's highly trained locksmiths can help you design the best security system for your commercial needs in Walnut Creek, Danville, Concord, Lafayette, and the surrounding East Bay Area. Quick Key, The Safe Choice! Did you just find yourself locked out of your Walnut Creek office or Danville home, not able to find keys to your sliding door, broke your key, or are looking to consolidate keys anywhere in the East Bay Area? Look no further than Quick Key Locksmith! With many years of experience and expertise, our Walnut Creek locksmiths can help you deal with all types of lock-related problems. At Quick Key Locksmith, we use state-of-the-art technology to help our clients quickly get back in their home. Our experienced and skilled locksmiths can repair, replace, and install new locks in your home in Walnut Creek, Danville, Concord, and the surrounding East Bay Area. We use high-end technology and the latest equipment to ensure the quickest delivery of our locksmith services. With Quick Key Locksmith, you don't need to wait to get your new key made or get your old locks changed. As a locksmith in Danville, CA, our business ensures quick and proficient service without taking much of your time. You can trust our locksmith workmanship to keep your family safe. Whether you own a house with antique locks or have advanced home security, we guarantee all of our locksmith services are done properly. We have a strong team of locksmiths that are both certified and licensed to ensure your safety. When you need a locksmith in Concord, CA, we’re the right choice. You have an important meeting scheduled and suddenly you find yourself locked out of your office. What do you think you should do in this emergency situation? Call Quick Key Locksmith, and our Walnut Creek locksmiths will come to your location and provide you with a quick solution. Whether you find yourself locked out or want to upgrade your office locks or security, at Quick Key Locksmith we can assure high-end service at a reasonable price. Our East Bay Area locksmiths have the experience and expertise to recommend the right type of locks and safety devices for your business. Whether you want to install keyless locks, card sliders, or electric keypads, we can install each and every type of lock and security system in a short amount of time. Our locksmiths will customize locks for your business which can't be picked easily. We will provide you the type of locks that will definitely keep the intruders away from trying to break-in to your office. Keyless locks are particularly difficult to tamper with, and this is the reason these are most used by businesses. Contact us for a great locksmith in San Ramon, CA. Locked yourself out of your car without a spare key in the East Bay Area? Our experienced locksmiths have the ability to handle all types of lockout emergencies such as removing broken keys from the ignition, making chip keys, and making VAT keys. Each and every locksmith on our team is licensed and bonded to provide you with the highest level of security. Our auto locksmiths can also install new locks at car dealers. Whether your key has broken in the ignition or you have left it inside your car, our locksmiths can easily & quickly assist you in getting back in your car. If your car remains outside for too long in the freezing weather, our locksmiths can also help you unfreeze the car locks to ensure smooth entry. 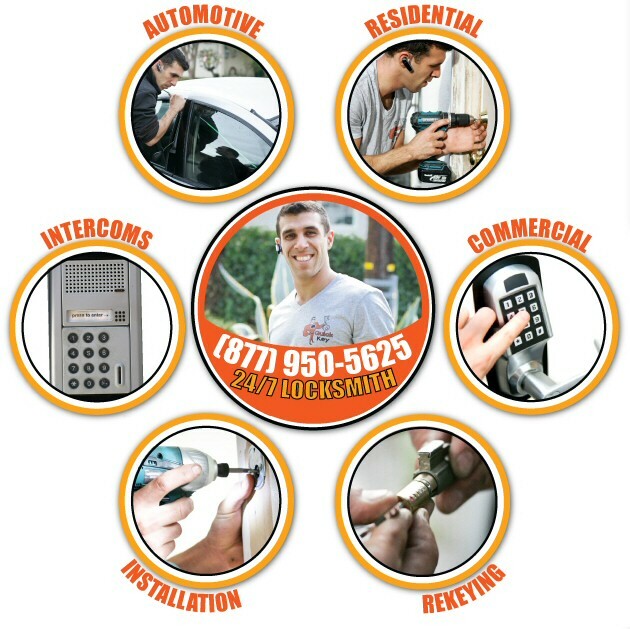 Our locksmiths are reliable, dependable, and knowledgeable. We respond extremely fast to help you with your lockout need. Whether you live in Walnut Creek, Concord, Danville, or Pleasanton, we provide service to all cities and nearby areas in the East Bay Area. Call us and let us know your problem, and we will be right there to help you!